Below is a list of Marcé Society Office Bearers including Executive Committee and other Executives. Lisa Segre is an Associate Professor in the College of Nursing at the University of Iowa, with a secondary appointment in the Department of Psychology as well as a faculty fellow of the Iowa Depression and Clinical Research Center. Dr. Segre completed her graduate work at the University of Illinois, Urbana Champaign, specializing in Community-Clinical Psychology. As the recipient of a NIMH Mentored Patient Oriented Research Career Development Award (K-23), Dr. Segre blended her training as a community psychologist with a new focus in the area perinatal mental health. Dr. Segre’s current program of research focuses on the dissemination and evaluation of 1) maternal depression screening programs and (2) Listening Visits, a depression treatment developed for delivery by point-of-care health and social service providers. In partnership with the Iowa Department of Public Health, Dr. Segre has broadly implemented both depression screening and Listening Visits in social service agencies throughout Iowa. Her most recent research focuses on evaluating Listening Visits for mothers of hospitalized newborns. Jane Fisher is an academic Clinical and Health Psychologist and Jean Hailes Professor of Women’s Mental Health in the School of Public Health and Preventive Medicine at Monash University in Melbourne Australia. 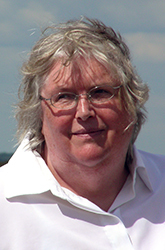 Vivette Glover is currently Professor of Perinatal Psychobiology at Imperial College London. She was trained as a biochemist at Oxford and did her PhD in neurochemistry at University College London. She then moved to Queen Charlotte’s Maternity Hospital, London. In more recent years she has applied her expertise in biological psychiatry to the problems of mothers and babies. In 1997 she set up the Fetal and Neonatal Stress Research Group. Recent projects of interest include studies characterising the stress responses of the fetus, and the first trial of analgesia in the fetus; studies showing that maternal antenatal stress or anxiety increases the risk for a range of emotional, behavioural and cognitive adverse outcomes for the child; and studies showing possible mechanisms by which maternal stress or anxiety may affect the development of the fetus. This work is showing the importance of the fetal period, and the emotional state of the mother during pregnancy, for the later neurodevelopment of the child. She has published over 400 papers. 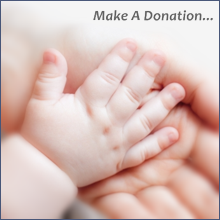 Please visit www.beginbeforebirth.com. Dr. Dennis am a Full Professor in the Faculty of Nursing and Faculty of Medicine (Department of Psychiatry) at the University of Toronto, in Toronto, Ontario, Canada. She holds a Canada Research Chair in Perinatal Community Health and was appointed the Shirley Brown Chair in Women’s Mental Health Research – a joint chair between the University of Toronto (Department of Psychiatry), and two university-affiliated hospitals: the Centre for Addiction and Mental Health and Women’s College Hospital. Dr. Dennis completed her PhD at the University of Toronto in 1999 followed by a 2-year nationally funded postdoctoral fellowship in epidemiology at the University of British Columbia in Vancouver. Professor Megan Galbally is a Consultant Psychiatrist and Foundation Chair in Perinatal Psychiatry, an appointment across Murdoch University, University of Notre Dame and Fiona Stanley Hospital. Megan is a board member of the International Marce Society and previously on the Executive of the Australasian Marce Society, where she has held roles on the Executive for over 10 years, including President. Megan is the Chief Investigator of two longitudinal, prospective studies examining the effects of maternal depression and antidepressant treatment on child developmental outcomes. Megan has also developed specific services in perinatal mental health, including an Antenatal clinic for Women with Schizophrenia and Bipolar at Mercy Hospital for Women. Megan is Editor of “Psychopharmacology and Pregnancy – Treatment Efficacy, Risks, and Guidelines” published by Springer in 2014. Dr Simone Honikman is a medical doctor (UCT) with clinical experience in Paediatrics, Obstetrics and Gynaecology and Psychiatry and a Masters degree in Maternal and Child Health (UCT). She is founder and director of the 14-year old Perinatal Mental Health Project (PMHP) based at UCT. The Project has received formal commendation by the World Health Organisation. Simone received the international Ashoka Fellowship for Social Entrepreneurship, has published academic papers, book chapters editorials and training manuals. She designs and conducts training for a wide range of healthcare and social service providers and consults to health policy and programme processes within South Africa. Through her involvement in several research consortia, she has collaborated with clinicians and researchers in high, low and middle income countries. Dr. Klier is an adult and child psychiatrist and psychotherapist who graduated from the medical university in Vienna. She spent one year as a postdoc at the Presbyterian Hospital, Columbia University, NYC with Myrna M. Weissman, where she started her research career in the field of perinatal psychiatry, specifically affective disorders in the aftermath of reproductive events. This has brought Dr. Klier back to the United States twice to work at Drexel University, Philadelphia with Prof. Pamela Geller on mental health after miscarriage. Dr. Klier’s research interests are perinatal psychiatry, psychopharmacology in pregnancy and pediatric psychosomatics. Recent research has shifted to the field of infanticide and its prevention. Dr. Klier was appointed associate professor in 2013, when she returned from a sabbatical in Australia, working at ORYGEN, University of Melbourne in the field of prevention in youth mental health. Dr. Klier is head of the pediatric psychosomatic clinic at the children’s hospital within the General Hospital of Vienna and Associate professor at the medical university of Vienna. To learn more, please visit Dr. Klier’s university web pages https://www.meduniwien.ac.at/web/index.php?id=688&res_id=125 and http://kinderklinik.meduniwien.ac.at/paediatrische-psychosomatik/. To read more about Dr. Klier’s vision for the Marce Society, please click here. AL Sutter-Dallay, M.D., Ph.D., HDR is head of the Perinatal Psychiatry Network in the University Department of Psychiatry in Bordeaux, France. She was a founding member of the Société Marcé Francophone (SMF) in 1998 and is its present scientific advisor after having been its president (2009-2011). She has a special interest in maternal psychiatric disorders during pregnancy and postpartum and their treatments, as well as their impact on child psycho-affective development. She also has a research activity as associate researcher in the INSERM-U697 (Pharmacoepidemiology) at the Bordeaux University. She was the co-leader of a population based prospective survey (MATQUID) about postnatal depression and its influence on the psycho-affective development of the child. 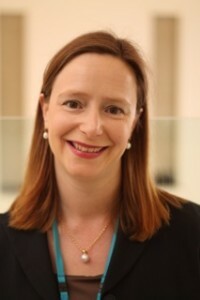 She is also involved in research about Mother-Baby joint admissions in France and Belgium, and in the large populational ELFE study (Etude Longitudinale depuis l’Enfance), with a special interest regarding the impact of maternal disorders and psychotropic medication intake during pregnancy on child development. For more information on Dr. Sutter, as well as to view her top 20 papers, please click here. Nine M-C Glangeaud-Freudenthal (PhD) was trained in Clinical and pathological psychology and in Biochemistry. Research Fellow (retired) working at an Epidemiological Research Unit on Perinatal Health and Women’s and Children’s Health in Paris, France. Past-President of Marcé Society International, she hosted the international Biennial congress of this society in Paris, October 3-5, 2012. She is one of the founders and presently honorary member of the francophone group of the Marce society (SMF). Since 1999, she is initiated a National database (more than thousand inclusions) and researches on Mother-Baby joint inpatient admissions to a Mother-Baby Units in France and Belgium and published several epidemiologic studies in collaboration with the working group UMB-SMF. For more information on Dr. Glangeaud’s publications, please click here. Jeannette Milgrom is Professor of Psychology, Melbourne School of Psychological Sciences, University of Melbourne and Director of the Parent-Infant Research Institute and Clinical and Health Psychology, Austin Health, Melbourne. She has established a psychology hospital department that integrates clinical services, research and teaching. Jeannette established the Parent‐Infant Research Institute (PIRI) in 2001 as a centre of excellence conducting basic and applied research with a focus on high-risk infants, postnatal depression, prematurity, developing psychological treatments (mothers, fathers and babies) and supporting families. For more information about Jeannette Milgrom, please click here. Professor of Psychology, Starch Faculty Fellow and co-director of the Iowa Depression and Clinical Research Center. He received his Ph.D. from the University of Pittsburgh in 1980 and has spent his entire academic career at the University of Iowa. Dr. O’Hara has over 100 publications including journal articles, books, and book chapters, most of which address issues related to perinatal mood disorders. For more information on Dr. O’Hara, click here. Katherine L. Wisner, M.D., M.S., has been involved in clinical work and research since the mid-1980’s. Prior to her medical training, she achieved a Master’s Degree in Nutrition. Dr. Wisner did a pediatrics internship, is board-certified in both adult and child psychiatry, and completed a 3-year postdoctoral training program (NIAAA-funded) in epidemiology. Her major interest area is women’s health across the life cycle with a particular focus on childbearing. In January 2011, Dr. Wisner was chosen as the recipent of AMWA’s Women in Science Award for the year 2011. To read more about the work and accomplishments of Dr. Wisner, please click here.